Perhaps our heir to the Crown is on the point of – or has had – a Damascus Road experience and starting to see, or about to meet, the true Light of the World? As heir to his mother Queen Elizabeth’s throne and title of ‘Defender Of The Faith’ (ie. the Protestant, Anglican version) Charles has expressed his wish some years ago to be ‘Defender of Faith’. 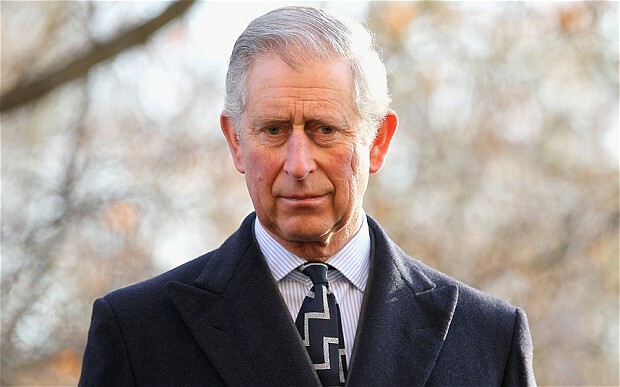 His deep admiration of Islam led to speculation since 1997; Is Prince Charles a convert to Islam? (as summarised and updated over 2003-13 by Daniel Pipes). ‘…It was a speech of empathy, grace and humanity. His mind is clearly troubled; his heart is with the “unbearable suffering” and “indescribable agony” of Iraq’s Christians – a church which can trace its origins back to the ministry of Thomas the Apostle. Their eradication is “beyond belief”, the Prince said. For one who has dedicated his life to the cause of peace and to a greater understanding between people of faith, the intolerance of the Islamist creed is beyond comprehension. “It is utterly inconceivable that a person of one faith could find it in themselves to persecute a person of another faith,” he said. “Surely to do so brings nothing but dishonour on the faith of the persecutor?” And then he took the theme of the Apostle Paul in his speech at the Areopagus:. “It seems to me that all faiths to some extent shine a light on the divine image in every human life. If that is so, then surely to destroy another human being is to desecrate the image of the Divine, and to do so in the name of faith is nothing less than a blasphemy? It’s most interesting that Charles proceeds to refer to Saint Paul’s life of persecution. May we hope that he’s woken up to the deep difference between our faith in the real living God who saved us from our sins and whom we can know personally, and another that denies salvation through the Cross of Christ only, and His holy nature. Do take the time to read Cranmer’s excellent summary and commentary upon the Prince’s speech. This entry was posted in Christianity, Islam, News, Royalty by Richard Barker. Bookmark the permalink. Thanks for the confirmation my friend. That’s what Nina surmised just a few minutes ago after having read Cranmer’s piece. I’m really encouraged by this. I’ve always had a heart for Prince Charles and have been praying for him. Thanks Sue. Have something to circulate on this shortly.